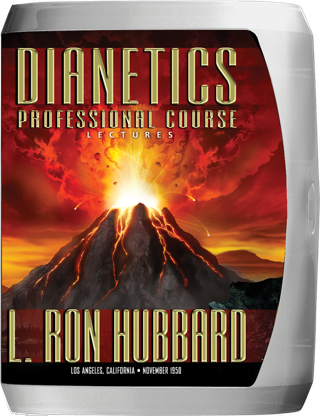 Following six months of coast-to-coast travel, lecturing to the first Dianeticists, L. Ron Hubbard assembled auditors in Los Angeles for a new Professional Course. The subject was his next sweeping discovery on life—the ARC Triangle, describing the interrelationship of Affinity, Reality and Communication. Through a series of fifteen lectures, he announced many firsts, including the Spectrum of Logic, containing an infinity of gradients from right to wrong; ARC and the Dynamics; the Tone Scales of ARC; the Auditor’s Code and how it relates to ARC; and the Accessibility Chart that classifies a case and how to process it. Here, then, is both the final statement on Book One Auditing Procedures and the discovery upon which all further research would advance. The data in these lectures was thought to be lost for over fifty years and is only available in student notes published in Notes on the Lectures. The original recordings have now been discovered making them broadly available for the first time. Here, also, is both the final statement on Book One Auditing Procedures and the discovery upon which all further research would advance. Life in its highest state, Understanding, is composed of Affinity, Reality and Communication. And, as L. Ron Hubbard said, the best description of the ARC Triangle to be found anywhere is in these lectures. To provide both the training of auditors and the cases upon which refined techniques for application could be tested, a Dianetic Research Foundation and school were established within weeks of the book’s initial publication. 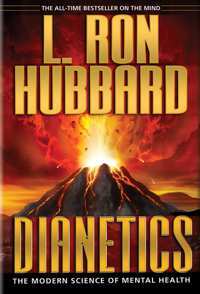 Yet overwhelming demand for instruction exceeded capacity almost at once, with Dianetics readers wishing to enroll literally camping out on Mr. Hubbard's front lawn, in Elizabeth, New Jersey. Despite expanding into larger quarters, in but weeks even they were too small. 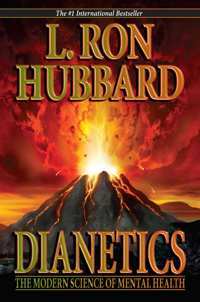 And so it continued, literally week by week, month by month as newspapers accurately described the Dianetics movement as a “wildfire” spreading from coast to coast. So it was that he established a second headquarters on the West Coast of America, in Los Angeles, California. Thereupon, he was next routinely traveling coast to coast—presenting his breakthroughs to those first Dianeticists—by the day, up to the minute, 135 lectures in 150 days. 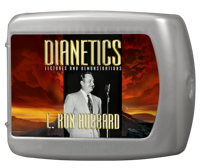 Yet while each successive advance brought that goal of Clear closer still, November of 1950 saw what L.Ron Hubbard described as the next Dianetics milestone—the very anatomy and source of emotion itself. 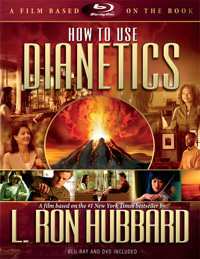 The book Dianetics had already included a Descriptic Graph plotting Survival Potential across the four dynamics, providing a Tone Scale of emotion. But as he was to announce, the description of that Scale was two-dimensional while what he had now discovered laid out in three dimensions. That discovery was the triangle of Affinity, Reality, and Communication (ARC). Its use in application spanned all—from every aspect of auditing to interpersonal relationships and Life itself. The first announcement of these breakthroughs, and their application, came in November 1950 at the now legendary Los Angeles Professional Course. 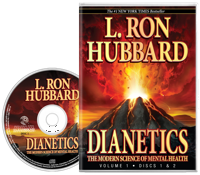 From the Tone Scales of Affinity, Reality and Communication, to ARC and the Dynamics, to the Accessibility Chart guiding auditors on how to open cases and start anyone on the road up—contained within these lectures is not only the last word and finishing touches on Book One Dianetics procedure, but the foundation for future research of life force itself. To provide these materials to Dianeticists everywhere, within months student notes from the lectures were published in the book, Notes on the Lectures. However, Mr. Hubbard's correspondence from that November 1950 period included his instructions that the lectures be made available in full, with student notes merely serving as an immediate publication of these breakthroughs until the lectures could be replicated. So began a global search for those original recordings, thought to be lost for over fifty years, until, at last, each one of the original recording tapes containing his lectures was located. And combined with monumental restoration techniques, those lectures are now available for the first time since those 1950 students in Los Angeles heard them. Affinity, Reality and Communication are the components of Understanding, and stood as the bedrock of L. Ron Hubbard's research and discovery for the next thirty-five years, constantly building a better bridge to freedom and ability. Yet no matter that advance, Mr. Hubbard repeatedly referred to this first description—these lectures—as the very best dissertation on ARC, never to be bettered.